Manchester United defender Luke Shaw will be out for ‘a few weeks’, manager Louis van Gaal has confirmed. 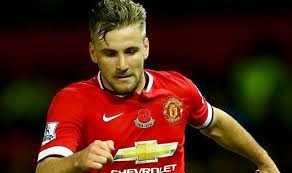 Shaw damaged ankle ligaments in last weekend’s 2-0 win over Arsenal at the Emirates and, while the injury is not as serious as first feared, the manager has confirmed he will be unavailable for the coming weeks. “Luke sustained an ankle ligament injury but with no serious complications, and he will be out for the next few weeks because of this,” Van Gaal told reporters at his weekly press conference. United have a number of injury concerns but Van Gaal has revealed that both Radamel Falcao and Marcos Rojo are in contention to make their returns against Hull on Saturday. Falcao has not played since October 20 but he returned to full training earlier this week and is in line to feature at the weekend, while Rojo has recovered from the shoulder injury he sustained against Manchester City on November 2.